This week in Kentucky politics, Kentucky State Troopers shut protesters out of the state Capitol, allowing only two people to enter the building at a time. Attorney General Andy Beshear is suing Walgreens, saying the company helped fuel the opioid epidemic in the state. And a high-powered lobbyist was in federal court as prosecutors try to prove he bribed a former state official to help a client get state contracts. 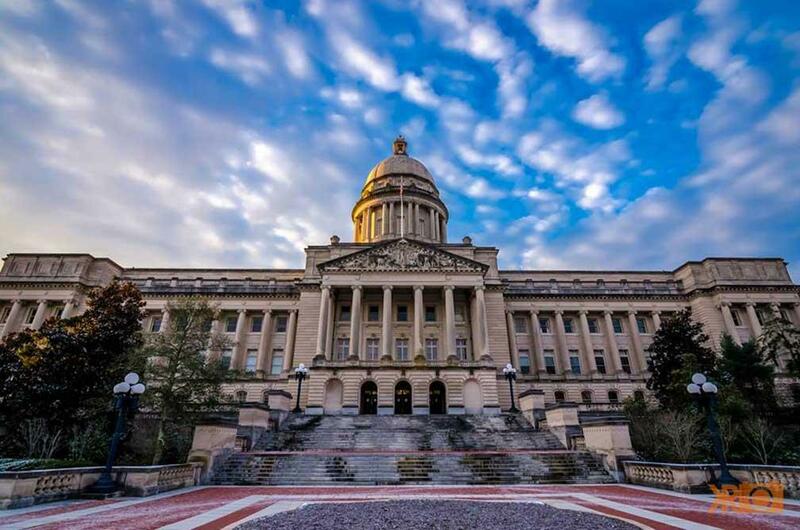 Capitol reporter Ryland Barton has this week’s edition of Kentucky Politics Distilled. 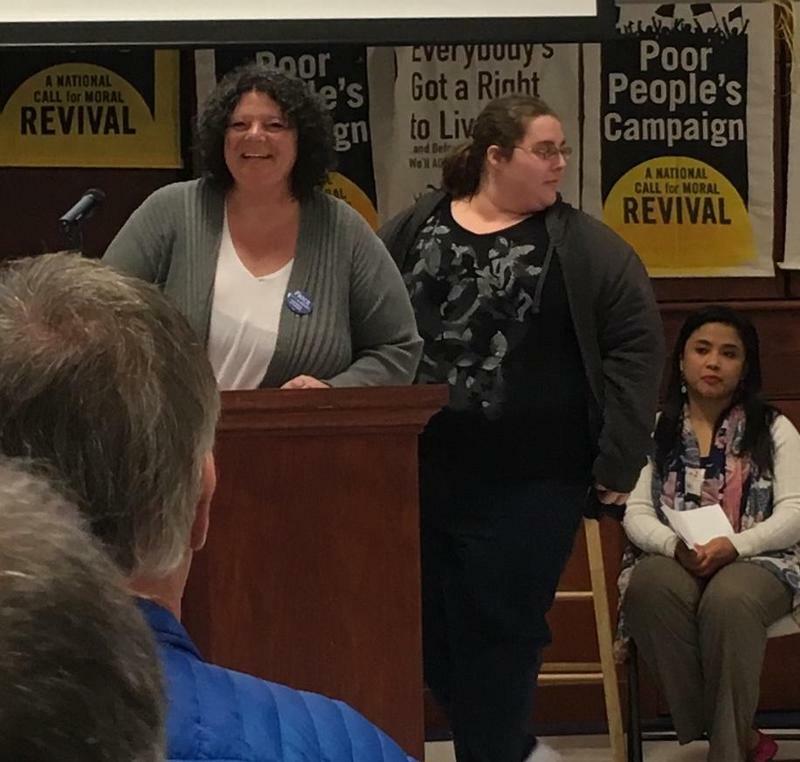 The Poor People’s Campaign has held a series of protests in Frankfort over the last month, calling on lawmakers to raise the minimum wage and support anti-poverty programs. But starting last week, Kentucky State Troopers have only allowed two protesters from the group to enter the Capitol building at a time. That’s Pam McMichael, one of the campaign’s Kentucky’s leaders. The group is part of a nationwide effort to get lawmakers to pay more attention to issues that affect poor people. In a letter sent to lawmakers concerned about the two-at-a-time policy, Kentucky State Police commissioner Rick Sanders said it was put in place after a couple of recent demonstrations: in one, 17 protesters spent the night in the capitol. In another, activists wrote messages in chalk on the sidewalk outside of the Governor's Mansion. Kentucky State Police Spokesman Josh Lawson said the policy was enacted because members of the group had shown they were willing to be arrested. The Poor People’s Campaign hearkens back to a march on Washington with the same name organized by Martin Luther King Jr. in 1968—the year he was assassinated. But the new iteration of the campaign has organized protests in more than 40 state capitals and Washington D.C. The group’s most visible leader is Rev. William Barber, an activist from North Carolina. This week lawmakers heard recommendations about how to make schools safer after the shooting at Marshall County High School earlier this year. School safety experts say that schools need to hire more law enforcement, lock all outer doors during the day and come up with their own plans for how to hide or escape a shooting. Despite a push earlier this year for arming teachers, lawmakers shied away from that proposal during the hearing. Here’s House Education Chair Bam Carney. Also this week, attorney General Andy Beshear announced he’s suing Walgreens for allegedly helping fuel the opioid addiction crisis. Beshear says since the company is both a drug distributor and pharmacy, it had a unique opportunity to sound the alarm on unusually large orders of opioids, but failed to do so. This is the sixth such lawsuit Beshear has filed against opioid distributors and manufacturers. Meanwhile, Beshear’s former top-deputy Tim Longmeyer took a break from a federal prison in Alabama to testify in the bribery trial of a Frankfort lobbyist. Longmeyer testified that Jim Sullivan paid him bribes in order to secure state contracts for one of his clients. At the time, Longmeyer was secretary of the Personnel Cabinet under then-Gov. Steve Beshear. He later served as deputy attorney general under Andy Beshear. He’s currently serving a nearly six-year sentence for taking bribes in separate case dealing with Kentucky's health insurance plan. The national leader of the revitalized Poor People’s Campaign, Rev. William Barber, will lead a rally in Frankfort on Monday. “Reverend William Barber has gained national attention leading a revitalized civil rights movement aimed at galvanizing a diversity of citizens around a few major issues that include – poverty, health care, voting rights, systemic racism and environmental devastation. Rev. Megan Huston is pastor of First Christian Church in Bowling Green and says Monday’s rally with Rev. Barber kicks up the pace of the Poor People’s Campaign in Kentucky.